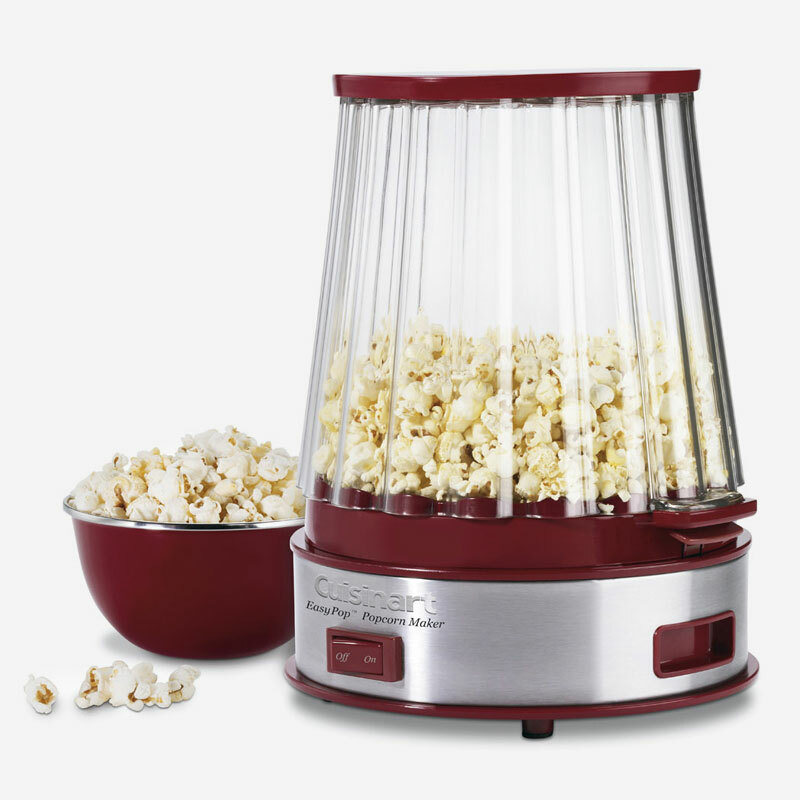 The Cuisinart® EasyPop® Popcorn Maker lets you make plain, buttered, tangy cheese or sweet caramel popcorn at home. Pops up to 10 cups (2.5 L) in under 5 minutes, with special vents in the popping bowl to keep it crunchy. Cuisinart popcorn is healthier, too, because you choose the type and amount of oil and salt you want. Operation is simple and cleanup is dishwasher easy, so enjoy popcorn whenever you want, with Cuisinart! 9.84" x 7.87" x 12.40"